We couldn't really choose any other theme could we!!!!! 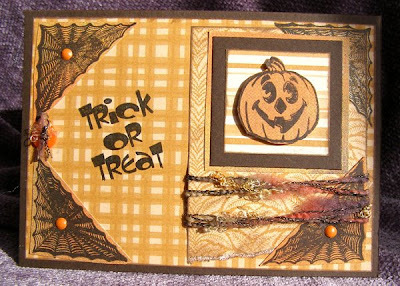 So what we would like to challenge you with today is producing something with a Halloween, or scary theme - it can be a card or something else (well not everyone sends Hallowe'en cards do they!) so bags, boxes, lanterns or whatever!!! Congratulations Sarah, the wonderful 3 Bugs in a Rug Caboodle kit will be on it's way to you from our fab sponsor Creative Treasures very soon. 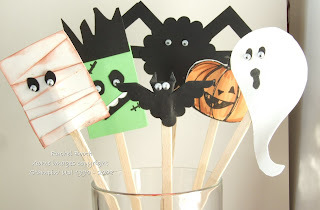 We's love to see your spooky creations, so please come back and leave a message when you're done with a link so that we can come and see how scared you've made us! 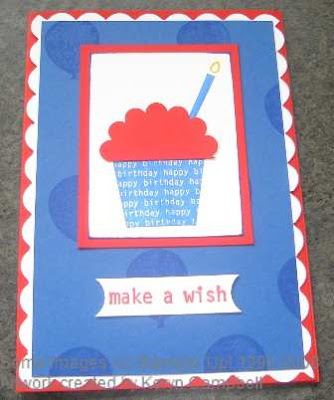 But before I do, the team would like to say a huge thanks to everyone who left messages and made cards for our birthday dare last week and also for Kathy’s Little Extra……..your creations are amazing. We are so pleased that you all still enjoy coming to play each week and we look forward to celebrating our third birthday with you all next year! I decided on this one after hearing the Justin Haywood song of the same name playing on the radio. I couldn’t get it out of my mind and kept singing it as I was working. 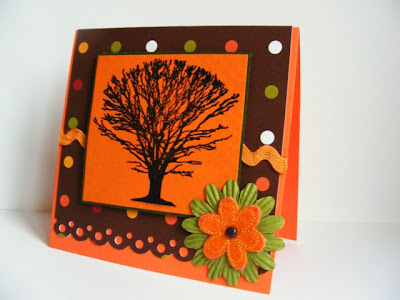 So now I’m daring you to make a card that depicts Autumn. It can be an Autumn scene or it can be something completely different but using a palette of Autumn colours……the choice is yours! I wouldn’t be a bit surprised if a few of you are singing along by the time you’ve finished either, I know some of the DT were! 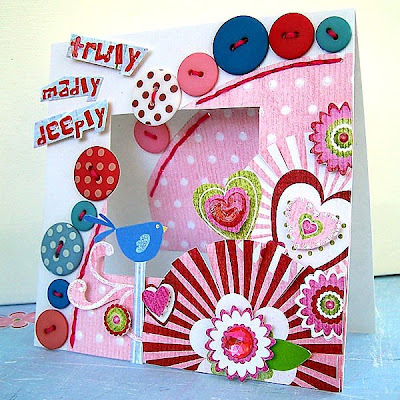 To help you along your way here's a few cards from the design team and if you're still in need of a little inspiration you could always have a go at using Kathy’s template from the Little Extra as I have for my card. The main thing is to have fun and whatever you do, don’t forget to leave us message in the comments box so we can come and see all your creations. 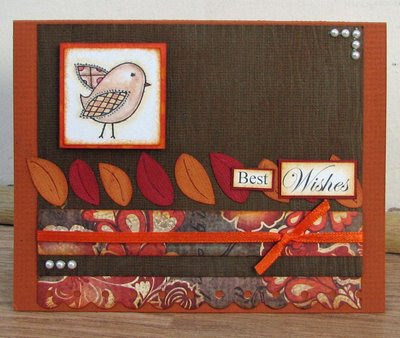 Kathy here this time with a new card sketch to tempt you with for our Little Extra challenge. 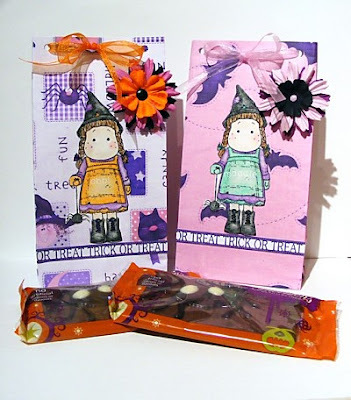 If you need a little extra temptation to have a go, then maybe the words "Prize Draw" will! The names of everyone who joins in with this sketch challenge will go into a virtual hat and a lucky winner will be drawn at random. 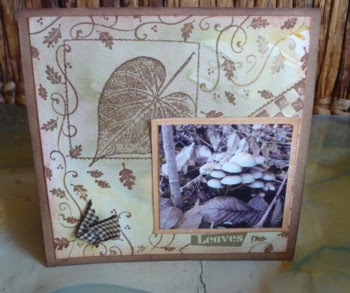 Our prize is this 3 Bugs in a Rug "Oh What Fun" Caboodle kit donated by Creative Treasures. 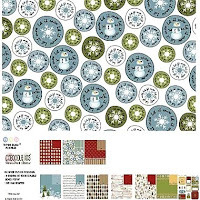 This fab online store is owned and run by Tracy Gibson and is filled to the brim with delicious goodies for all sorts of papercrafts. Anyone who has met Tracy knows how much she loves her crafting (and shopping) and she's filled her store with beautiful temptations reflecting this! 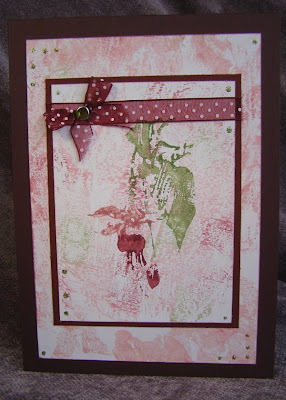 I thought it would be fun and inspiring to invite some fabby "new - to - the - DCM" cardmakers to play with this sketch. So I've been unashamedly selfish and asked just a few of my own favourite designers to make a card using my sketch. You'll probably recognise some of them, but maybe some will be new to you. Please pop over to their personal blogs and see their other work, I'm sure that, like me you'll find something to drool over! 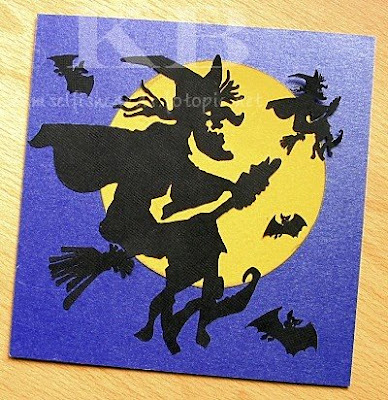 Our first version of the sketch is from Belgian papercrafter Godelieve who is a fantastic inspiration. Her blog is filled with her amazing projects and tutorials and she's always happy to share her tips and techniques. 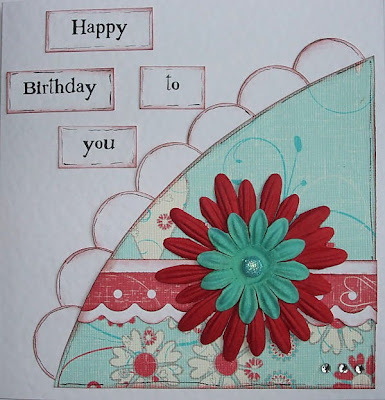 Tracy of Creative Treasures here in the UK is such a talented papercrafter. 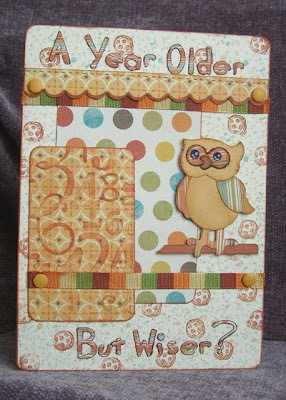 We snapped her up to be a Guest Designer way back and it was fab to see her cards on our blog! If you visit Tracy's blog you won't be disappointed. 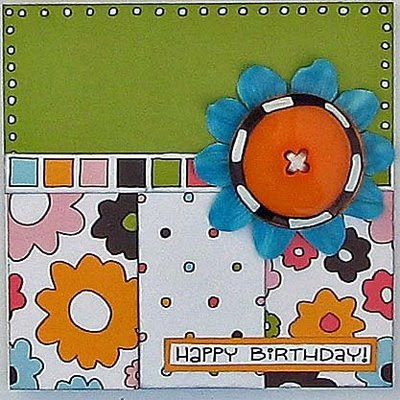 There'll you'll soon notice her love of colour, ribbon and flowers - and her use of which always makes for delicious LOs and cards. 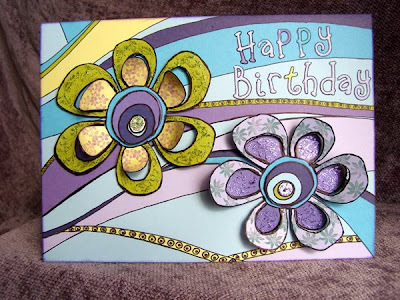 Now it's over to Quebec in Canada to meet Holly, aka Arts by Flowers, who's work is just so beautiful. 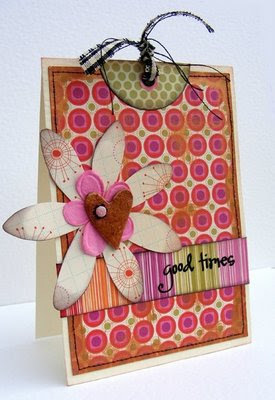 I love her use of stamps and the way she manages to convey fun and humour in her work. Holly's blog is definitely worth a visit, you'll find so many different styles and much inspiration over there. Back to the UK for our next little work of art. 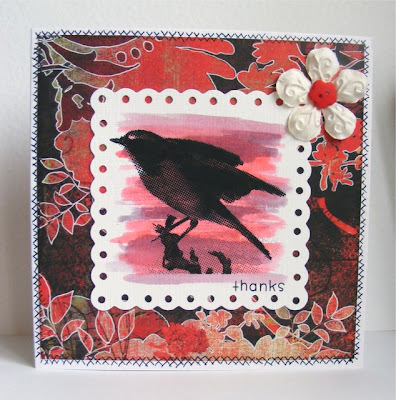 I've only recently discovered Tracy Gough's fantastic blog and the cards she shows on there. I just love the bold, bright and funky look she achieves and I wish I could make things look as funky as Tracy does! Phew! We're flying off to New Zealand next to visit the Wonderful World of Judy Fowler. 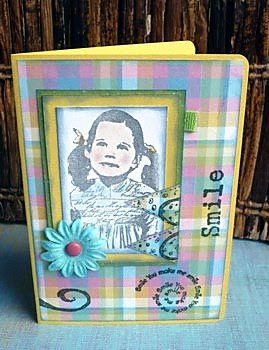 Judy was Guest Designer on here at the end of last year and I'm so pleased she said she'd give this template a try. 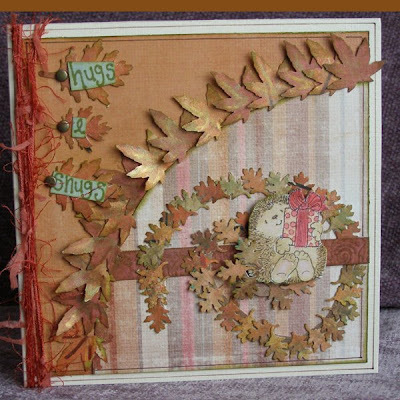 Visit Judy's blog and you'll find lots of collage work with fab stamping and an eclectic mix of media. 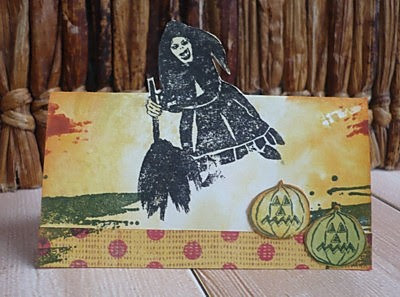 Don't miss Judy's Gothic Arches, they are fantastic! 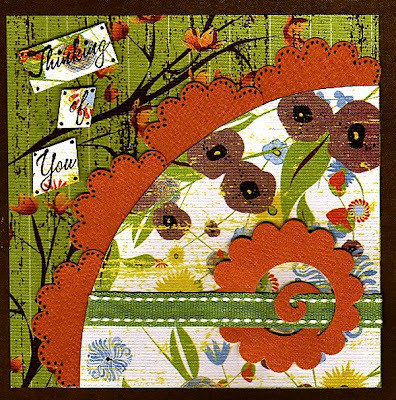 We'll stay over in the Antipodes and ask the Fabulously Talented Carole Janson to step forward! I was thrilled to bits when Carole agreed to join in with this challenge. 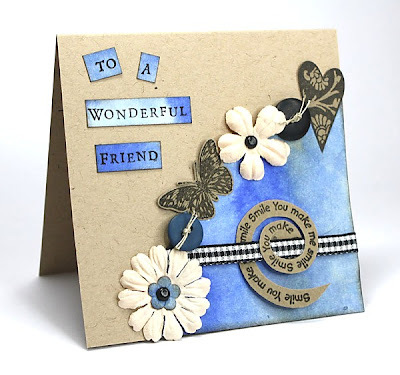 I just love all the things she makes and if you've somehow missed out on seeing her work then get over to her blog now and put that right! OK, there's one card left and guess who's bringing up the rear! 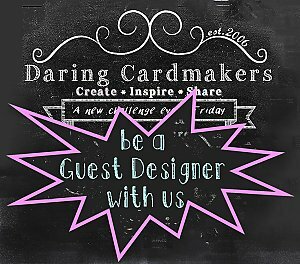 I hope you've enjoyed this little tour to some of my fave cardmakers' blogs and have been inspired to have a go with this sketch. I just want to add a HUGE THANK YOU to Godelieve, Tracy, Holly. Tracy, Judy and Carole for being so supportive and saying "Yes" when they got my begging email! Now I can't wait to see what everyone else come up with. 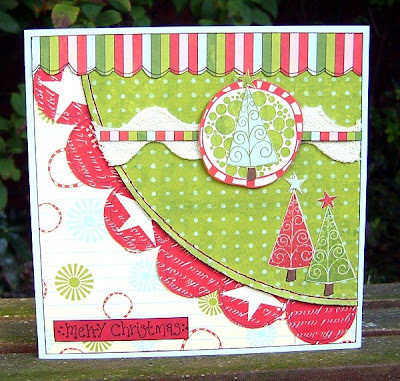 Remember, you can shrink it, twist it, turn it upside down when you use the sketch - and, don't forget, make a card using this sketch, pop back here to let us know where we can see it and you might just win that gorgeous paper pack from Creative Treasures! 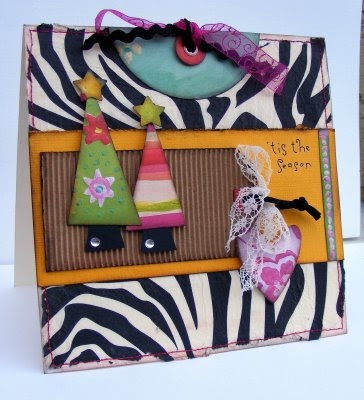 Thanks to everyone who joined in with Lythan's "Bright" dare, the cards were fantastic and we've so enjoyed visiting your blogs to see all those bright and beautiful creations. red, green, sky blue pink with yellow dots on, or any colour you fancy, with acrylics, H2Os or watercolours, with brushes, sponges or splatters. 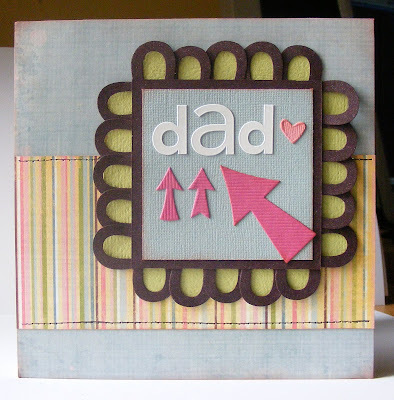 We don't mind, as long as you use paint on your cards. So have some fun with the DCM and get Painty this week. 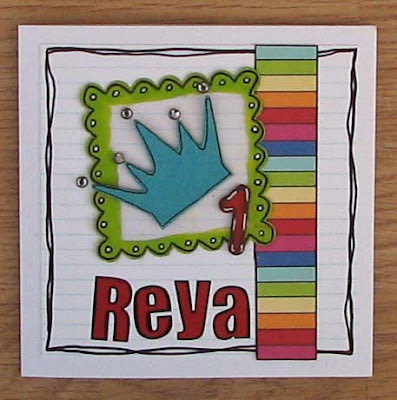 Leave us a message with a link to your blog and we'll be sure to come and check out your Painted Creations. 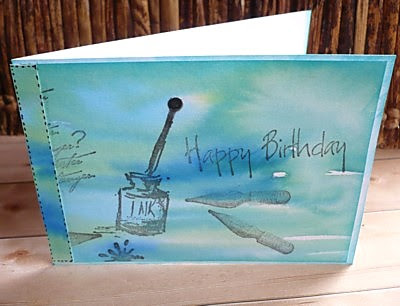 Go on, celebrate our birthday with us and Paint the Town any way you like! Clashy is good, hot colours are good, anything super duper bright is good too. If you want to double dare then why not use the sketch that Vanessa made for her marvellous mid week dare? I can't wait to put on my shades to visit your blogs! 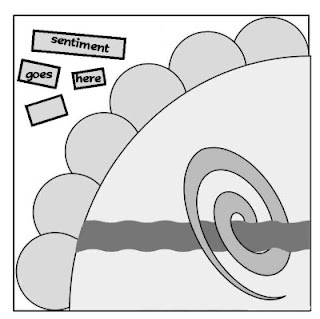 Following on from Lythan's Little Extra a few weeks ago, I thought it would be a good idea to draw a card sketch and show how it can be used to produce 3 very different cards (or at least I hope so!!). I love using sketches, sometimes I follow the sketch rigidly but then sometimes I flip it or just take elements from it to use - that is the beauty of them, they're so versatile. You can use them just as a starting point as well as for getting you going if your mojo is being rather elusive!! 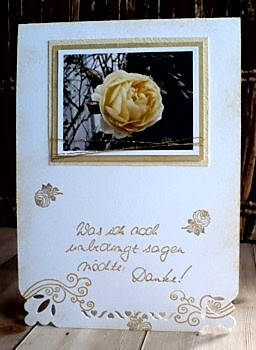 Thank you to everyone who pointed us in the direction of the cards you made for Jo's Crowning Glory dare. It's Keryn here and it's my turn to set the dare this week. 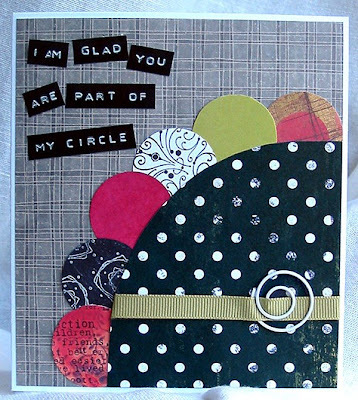 I'm just loving all the new scallop punches that are out at the moment, circles, ovals, squares, edges etc, etc and then there's the corner rounder and slit punches that can be used to scallop edges as well. 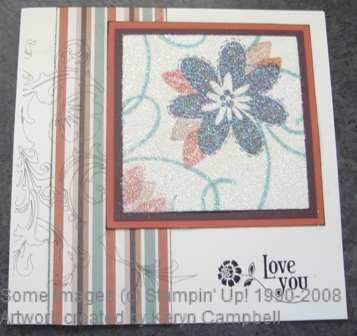 Use your imagination, your scallop punches, your corner rounders, your cricuts and cuttlebugs to create any card to fit any style as long as it shows scallops. 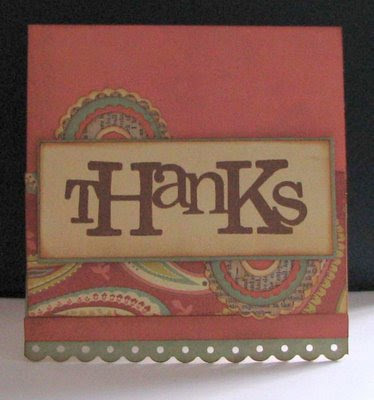 Please leave us a comment on this post to point us in the direction of your scallop cards.